Regulation (EU) No 1151/2012 has repealed and replaced Council Regulations (EC) No 509/2006 of 20 March 2006 on agricultural products and foodstuffs as traditional specialities guaranteed (2) and (EC) No 510/2006 of 20 March 2006 on the protection of geographical indications and designations of origin for agricultural products and foodstuffs (3). Regulation (EU) No 1151/2012 empowers the Commission to adopt delegated and implementing acts. In order to ensure the smooth functioning of the quality schemes for agricultural products and foodstuffs in the new legal framework, certain rules should be adopted by means of such acts. The new rules should replace the implementing rules of Commission Regulations (EC) No 1898/2006 of 14 December 2006 laying down detailed rules of implementation of Council Regulation (EC) No 510/2006 on the protection of geographical indications and designations of origin for agricultural products and foodstuffs (4) and (EC) No 1216/2007 of 18 October 2007 laying down detailed rules for the implementation of Council Regulation (EC) No 509/2006 on agricultural products and foodstuffs as traditional specialities guaranteed (5). Those Regulations are repealed by Commission Delegated Regulation (EU) No 664/2014 of 18 December 2013 supplementing Regulation (EU) No 1151/2012 of the European Parliament and of the Council with regard to the establishment of the Union symbols for protected designations of origin, protected geographical indications and traditional specialities guaranteed and with regard to certain rules on sourcing, certain procedural rules and certain additional transitional rules (6). Specific rules concerning the use of linguistic characters for a protected designation of origin, a protected geographical indication and a traditional speciality guaranteed and the translations of the claim accompanying a traditional speciality guaranteed should be laid down in order to ensure that operators and consumers in all Member States are able to read and understand such names and claims. The geographical area of protected designations of origin and protected geographical indications should be defined in the product specification in a detailed, precise way that presents no ambiguities in order to allow producers, competent authorities and control bodies to operate on certain and reliable bases. An obligation to include detailed rules on the origin and quality of feed in the product specifications of products of animal origin the names of which are registered as protected designations of origin should be established in order to guarantee uniform quality of the product and to harmonise the way of drafting those rules. 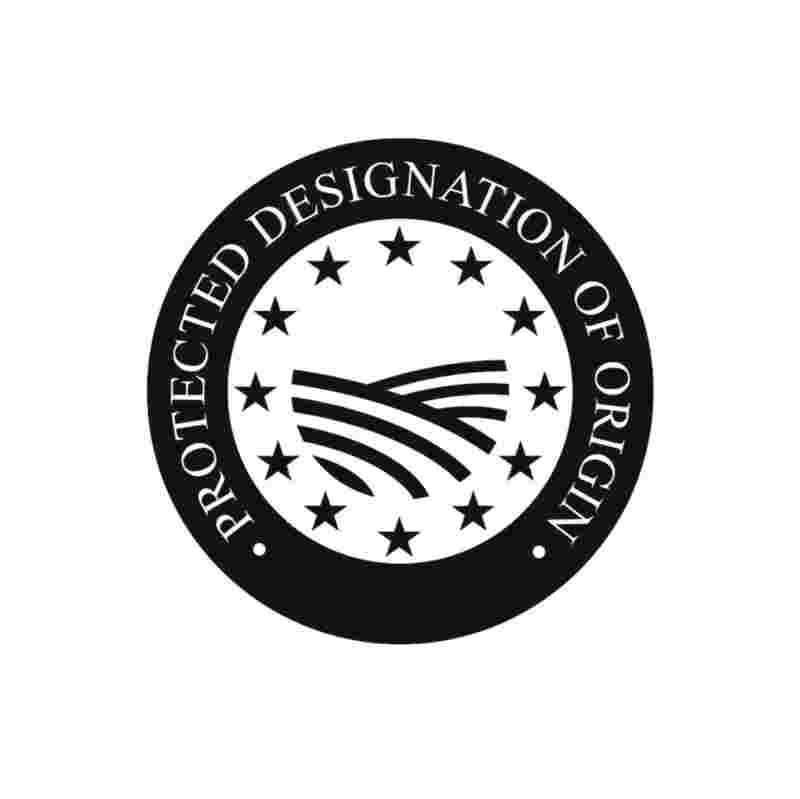 The product specification for protected designations of origin and protected geographical indications should include the measures taken to ensure that the product originates in the defined geographical area, as referred to in point (d) of Article 7(1) of Regulation (EU) No 1151/2012. Those measures should be clear and detailed in order to allow to trace the product, raw materials, feed and other items coming from the defined geographical area. As regards applications for registration of a name or approval of an amendment covering distinct products it is necessary to define in which cases products bearing the same registered name are considered distinct products. 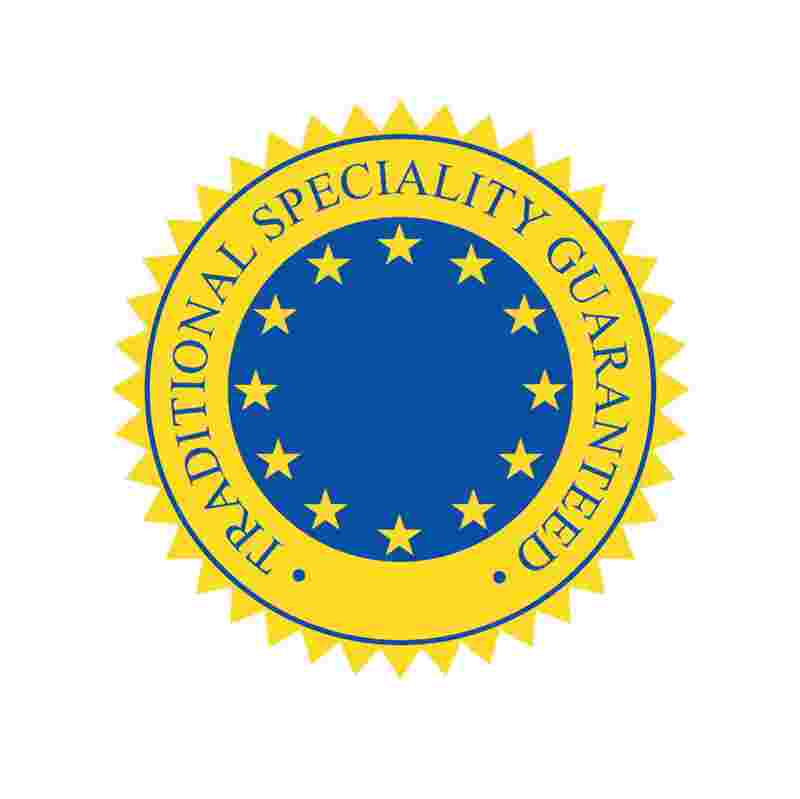 In order to avoid that products not complying with the requirements for designations of origin and geographical indications referred to in Article 5(1) and (2) of Regulation (EU) No 1151/2012 are marketed using a registered name, compliance with the requirements for registration should be demonstrated for each distinct product covered by an application. Packaging of an agricultural product or a foodstuff or operations concerning its presentation, such as slicing or grating, restricted to a defined geographical area, constitute a restriction on free movement of goods and freedom to provide services. In the light of the case-law of the Court of Justice of the European Union, such restrictions can only be imposed if they are necessary, proportionate and capable of upholding the reputation of the geographical indication or the designation of origin. As referred to in point (e) of Article 7(1) of Regulation (EU) No 1151/2012, product specific justifications for such restrictions shall be provided. For the smooth functioning of the system, procedures for applications, oppositions, amendments and cancellations should be specified. To ensure uniform and efficient procedures, forms concerning applications, oppositions, amendments, cancellations as well as forms concerning the publication of single documents for names that were registered prior to 31 March 2006 should be provided. For the sake of legal certainty, the criteria for the identification of the date of submission of an application for registration and of submission of an amendment application should be clearly specified. A limit to the length of single documents should be set out in order to have a more streamlined process and for standardisation needs. Specific rules on the description of the product and the production method should be adopted for standardisation needs. In order to allow easy and quick examination of applications for registration of a name or approval of an amendment, the description of the product and of the production method should contain only relevant and comparable elements. Repetitions, implicit requirements and redundant parts should be avoided. For the sake of legal certainty, deadlines concerning the opposition procedure should be fixed and criteria for the identification of the starting dates of those deadlines should be established. For the sake of transparency, the information concerning applications for amendment and requests for cancellation to be published in accordance with Article 50(2) of Regulation (EU) No 1151/2012 should be exhaustive. For streamlining and simplification purposes, the electronic form should be the only means of communication admitted for the transmission of applications, information and documents. Rules on the use of symbols and indications on the products marketed under protected designations of origin, protected geographical indications or traditional specialities guaranteed should be set out, including on the appropriate linguistic versions to be used. The rules on the use of registered names in association with the symbols, indications or corresponding abbreviations, as referred to in Article 12(3) and (6) and Article 23(3) of Regulation (EU) No 1151/2012, should be clarified. In order to ensure uniform protection of indications, abbreviations and symbols and to raise public awareness about the quality schemes of the Union, rules on the use of indications, abbreviations and symbols in media or advertising supports in connection with products produced in conformity with the respective quality scheme should be established. Rules on the content and the form of the Register of protected designations of origin, protected geographical indications and traditional specialities guaranteed should be adopted to ensure transparency and legal certainty. 1. 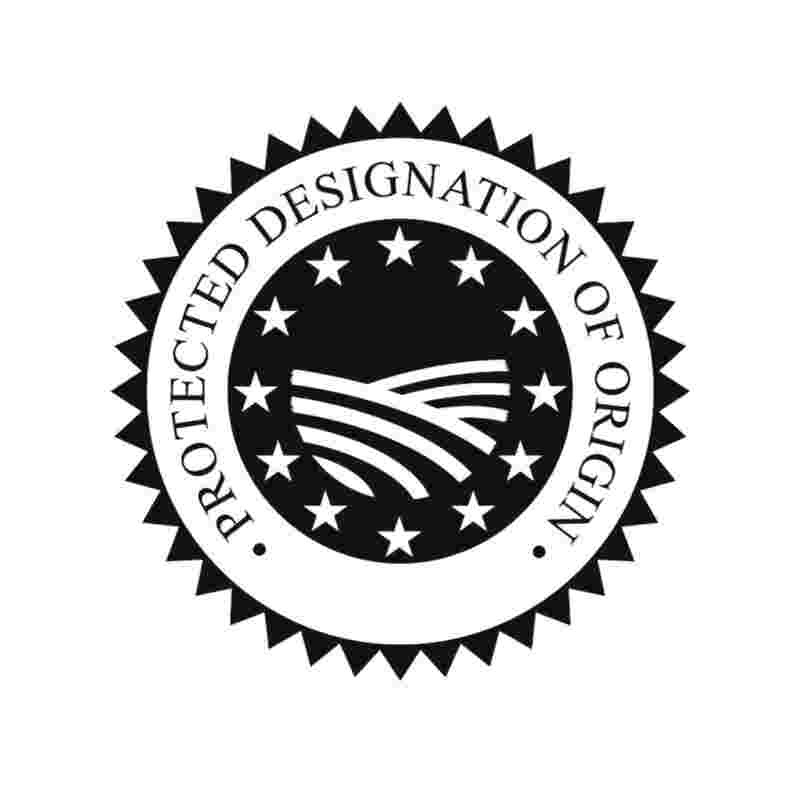 The name of a protected designation of origin, a protected geographical indication or a traditional speciality guaranteed shall be registered in its original script. Where the original script is not in Latin characters, a transcription in Latin characters shall be registered together with the name in its original script. 2. 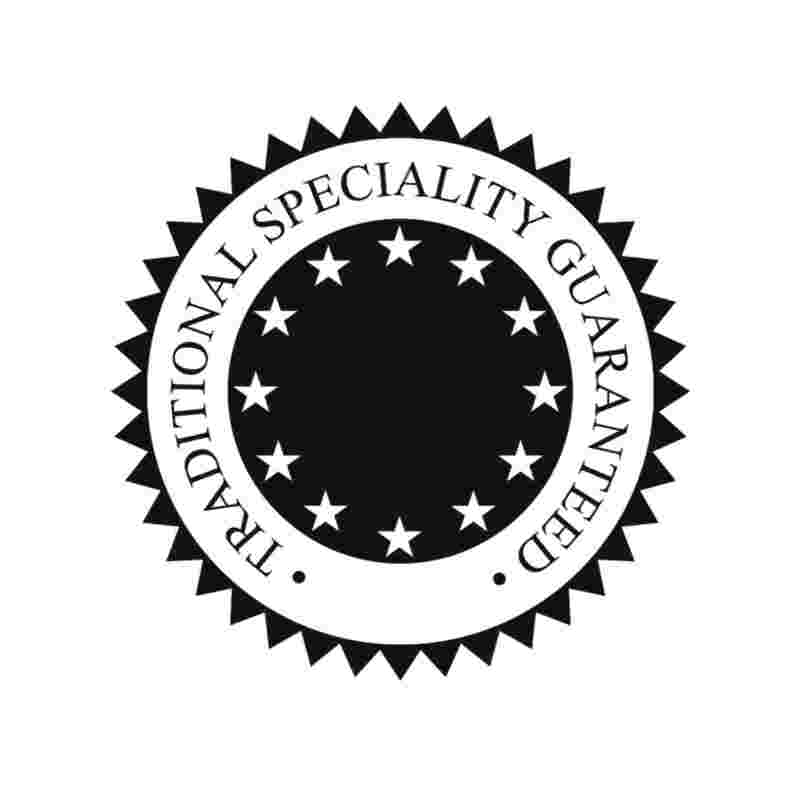 Where the name of a traditional speciality guaranteed is accompanied by the claim referred to in Article 18(3) of Regulation (EU) No 1151/2012 and that claim is to be translated in the other official languages, such translations shall be included in the product specification. 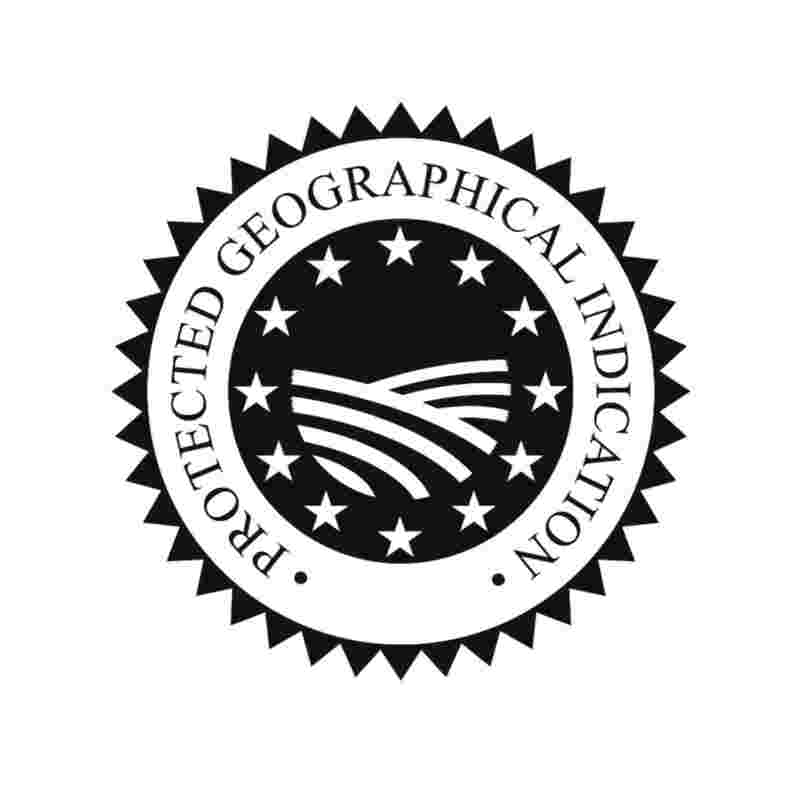 As regards protected designations of origin and protected geographical indications, the geographical area shall be defined in a precise way that presents no ambiguities, referring as far as possible to physical or administrative boundaries. The product specification of a product of animal origin the name of which is registered as a protected designation of origin shall contain detailed rules on the origin and the quality of feed. 1. The product specification for a protected designation of origin or a protected geographical indication shall identify the procedures which operators must have in place as regards the proof of origin concerning the product, raw materials, feed and other items that, according to the product specification, are required to come from the defined geographical area. the correlation between each batch of inputs referred to in point (a) and each batch of outputs referred to in point (b). Where the application for registration of a name or approval of an amendment describes several distinct products which are entitled to use that name, compliance with the requirements for registration shall be shown separately for each such product. For the purposes of this Article, ‘distinct products’ mean products that, although using the same registered name, are differentiated when placed on the market or considered as different products by consumers. 1. 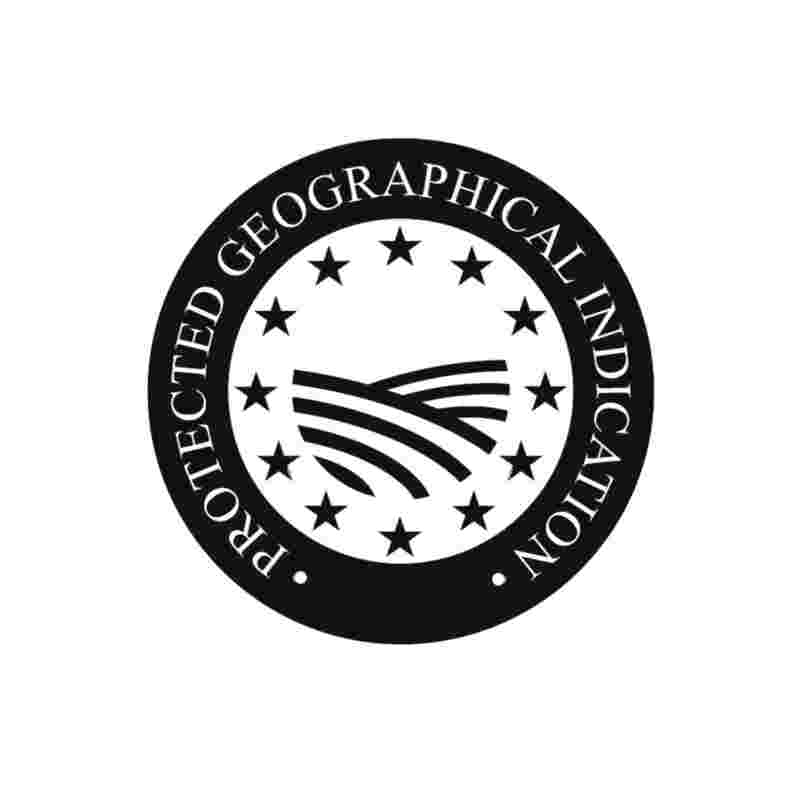 The single document of a protected designation of origin or a protected geographical indication referred to in point (c) of Article 8(1) of Regulation (EU) No 1151/2012 shall include the information requested in Annex I to this Regulation. It shall be drawn up in accordance with the form provided for in that Annex. It shall be concise and not exceed 2 500 words, except in duly justified cases. The reference to the publication of the product specification included in the single document shall lead to the version of the product specification as proposed. 2. The product specification of a traditional speciality guaranteed referred to in Article 19 of Regulation (EU) No 1151/2012 shall include the information requested in Annex II to this Regulation. It shall be drawn up in accordance with the form provided for in that Annex. 3. The date of submission of an application shall be the date on which the application is delivered to the Commission by electronic means. A delivery receipt shall be sent by the Commission. 1. 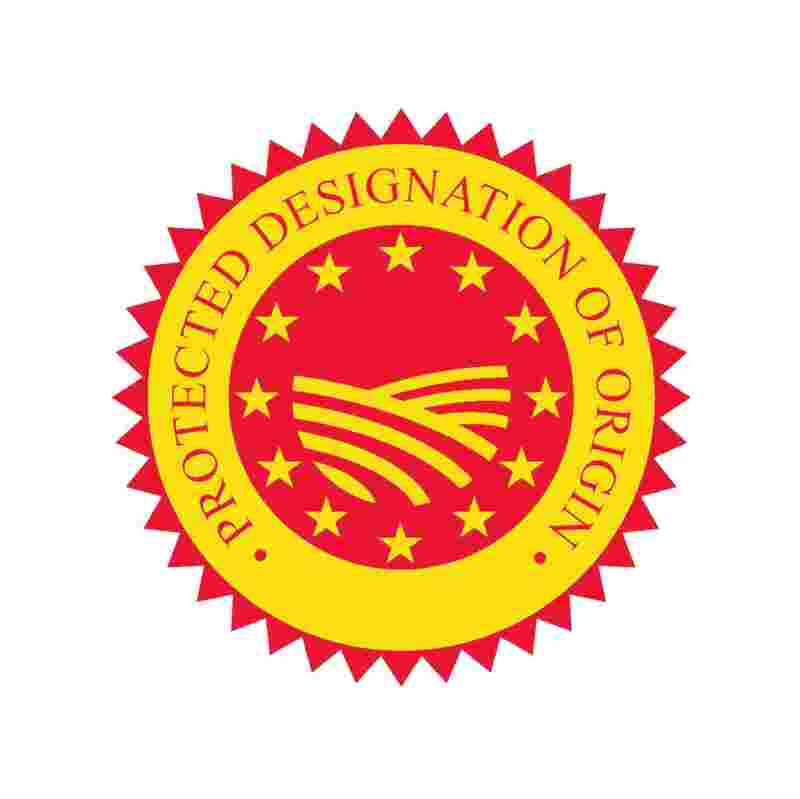 The single document for an application for registration of a protected designation of origin or a protected geographical indication referred to in point (c) of Article 8(1) of Regulation (EU) No 1151/2012 shall identify the product by using definitions and standards commonly used for that product. The description shall focus on the specificity of the product bearing the name to be registered, using measurement units and common or technical terms of comparison, without including technical characteristics inherent to all products of that type and related mandatory legal requirements applicable to all products of that type. 2. 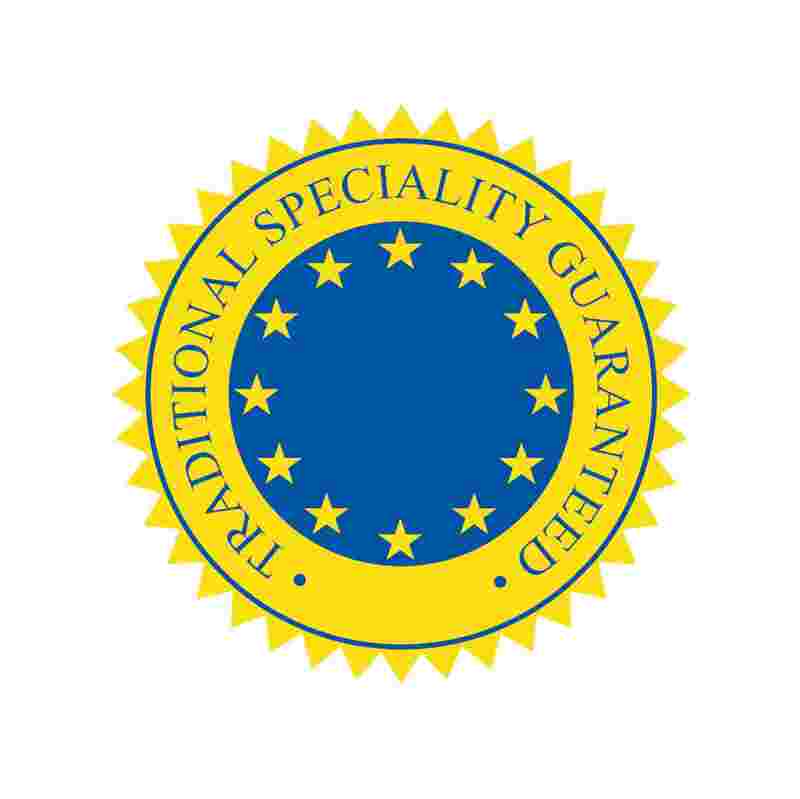 The description of the product for a traditional speciality guaranteed referred to in point (b) of Article 19(1) of Regulation (EU) No 1151/2012 shall only mention the characteristics necessary to identify the product and its specific characteristics. It shall not repeat general obligations and, in particular, technical characteristics inherent to all products of that type and related mandatory legal requirements. The description of the production method referred to in point (c) of Article 19(1) of Regulation (EU) No 1151/2012 shall only include the production method in force. Historical practices are only to be included if they are still followed. Only the method necessary for obtaining the specific product shall be described and in a way that enables reproduction of the product anywhere. The key elements proving the product's traditional character shall include the main elements that have remained unchanged, with precise and well established references. A joint application as referred to in Article 49(1) of Regulation (EU) No 1151/2012 shall be submitted to the Commission by a Member State concerned, or by an applicant group in a third country concerned, directly or through the authorities of that third country. It shall include the declaration referred to in point (c) of Article 8(2) or point (b) of Article 20(2) of Regulation (EU) No 1151/2012 from all the Member States concerned. Requirements laid down in Articles 8 and 20 of Regulation (EU) No 1151/2012 shall be fulfilled in all Member States and third countries concerned. 1. For the purposes of Article 51(2) of Regulation (EU) No 1151/2012 a reasoned statement of opposition shall be drawn up in accordance with the form set out in Annex III to this Regulation. 2. The period of three months referred to in the first subparagraph of Article 51(3) of Regulation (EU) No 1151/2012 shall start on the date on which the invitation to the interested parties to reach agreement among them is delivered by electronic means. 3. The notification referred to in Article 5 of Delegated Regulation (EU) No 664/2014 and the communication of the information to be provided to the Commission pursuant to the second subparagraph of Article 51(3) of Regulation (EU) No 1151/2012 shall be made within one month from the end of the consultations in accordance with the form set out in Annex IV to this Regulation. 1. 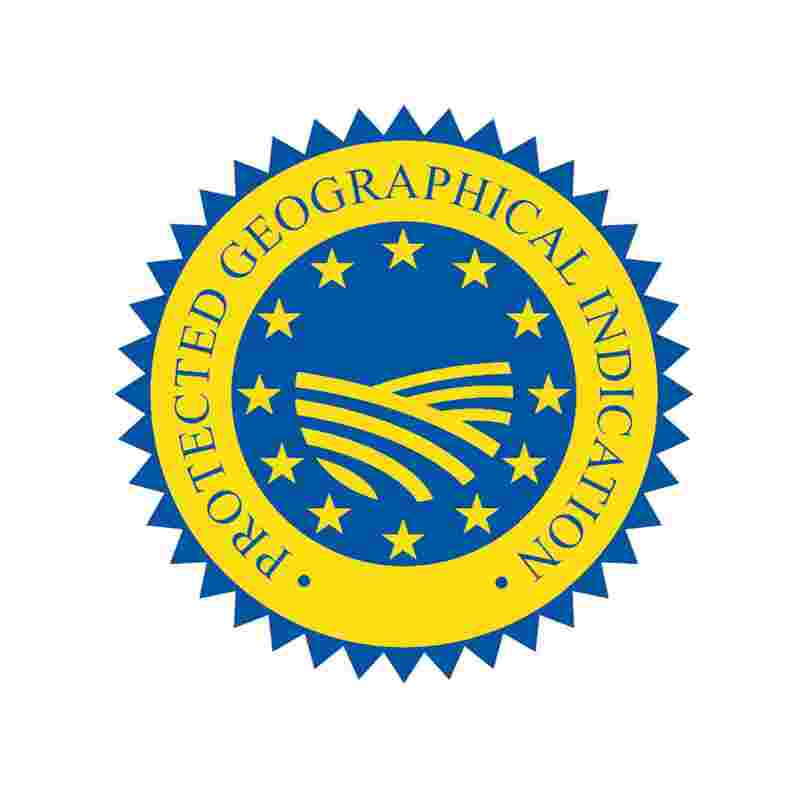 Applications for approval of an amendment to the product specification for protected designations of origin and protected geographical indications which is not minor shall be drawn up in accordance with the form set out in Annex V. Those applications shall be completed in accordance with the requirements laid down in Article 8 of Regulation (EU) No 1151/2012. The amended single document shall be drawn up in accordance with the form set out in Annex I to this Regulation. The reference to the publication of the product specification in the amended single document shall lead to the updated version of the product specification proposed. Applications for approval of an amendment to the product specification for traditional specialities guaranteed which is not minor shall be drawn up in accordance with the form set out in Annex VI to this Regulation. Those applications shall be completed in accordance with the requirements laid down in Article 20 of Regulation (EU) No 1151/2012. The amended product specification shall be drawn up in accordance with the form set out in Annex II to this Regulation. The information to be published in accordance with Article 50(2) of Regulation (EU) No 1151/2012 shall contain the duly completed application as referred to in the first and second subparagraphs of this paragraph. 2. Applications for approval of a minor amendment referred to in the second subparagraph of Article 53(2) of Regulation (EU) No 1151/2012 shall be drawn up in accordance with the form set out in Annex VII to this Regulation. Applications for approval of a minor amendment concerning protected designations of origin or protected geographical indications shall be accompanied by the updated single document, if amended, which shall be drawn up in accordance with the form set out in Annex I. The reference to the publication of the product specification in the amended single document shall lead to the updated version of the product specification proposed. For applications originating in the Union, Member States shall include a declaration that they consider that the application meets the conditions of Regulation (EU) No 1151/2012 and of the provisions adopted pursuant thereto and the publication reference of the updated product specification. For applications originating in third countries, the group concerned or the third country's authorities shall enclose the updated product specification. Applications for a minor amendment in cases referred to in the fifth subparagraph of Article 6(2) of Delegated Regulation (EU) No 664/2014 shall include the reference to the publication of the updated product specification, for applications originating in Member States, and the updated product specification, for applications originating in third countries. Applications for approval of a minor amendment concerning traditional specialities guaranteed shall be accompanied by the updated product specification drawn up in accordance with the form set out in Annex II. Member States shall include a declaration that they consider that the application meets the conditions of Regulation (EU) No 1151/2012 and of the provisions adopted pursuant thereto. The information to be published in accordance with the second subparagraph of Article 53(2) of Regulation (EU) No 1151/2012 shall contain the duly completed application as referred to in the first subparagraph of this paragraph. 3. The communication to the Commission of a temporary amendment referred to in the second subparagraph of Article 6(3) of Delegated Regulation (EU) No 664/2014 shall be drawn up in accordance with the form set out in Annex VIII to this Regulation. It shall be accompanied by the documents as provided for in the second subparagraph of Article 6(3) of Delegated Regulation (EU) No 664/2014. 4. The date of submission of an amendment application shall be the date on which the application is delivered to the Commission by electronic means. A delivery receipt shall be sent by the Commission. 1. A request for cancellation of a registration pursuant to Article 54(1) of Regulation (EU) No 1151/2012 shall be drawn up in accordance with the form set out in Annex IX to this Regulation. Requests for cancellation shall be accompanied by the declaration referred to in point (c) of Article 8(2) or point (b) of Article 20(2) of Regulation (EU) No 1151/2012. 2. The information to be published pursuant to Article 50(2) of Regulation (EU) No 1151/2012 shall contain the duly completed request for a cancellation as referred to in the first subparagraph of paragraph 1 of this Article. Applications, information and documents submitted to the Commission pursuant to Articles 6, 8, 9, 10, 11, and 15 shall be in electronic form. 1. The Union symbols as referred to in Articles 12(2) and 23(2) of Regulation (EU) No 1151/2012 and established by Article 2 of Delegated Regulation (EU) No 664/2014 shall be reproduced as laid down in Annex X to this Regulation. 2. 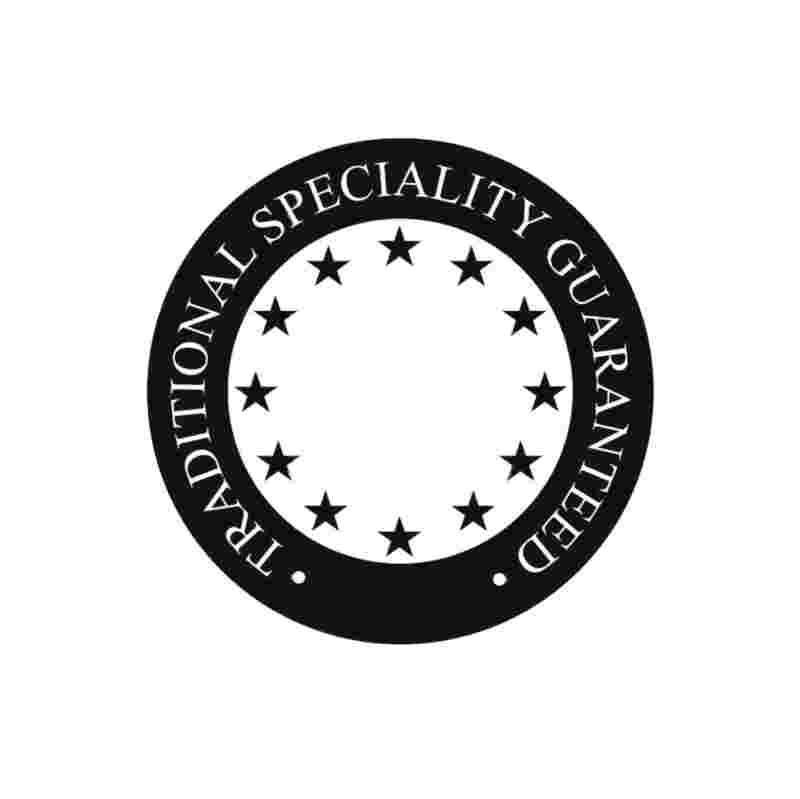 The indications ‘PROTECTED DESIGNATION OF ORIGIN’, ‘PROTECTED GEOGRAPHICAL INDICATION’ and ‘TRADITIONAL SPECIALITY GUARANTEED’ within the symbol may be used in any of the official languages of the Union as laid down in Annex X to this Regulation. 3. Where the Union symbols, indications or corresponding abbreviations as referred to in Articles 12 and 23 of Regulation (EU) No 1151/2012 appear on the labelling of a product, they shall be accompanied by the registered name. 4. Indications, abbreviations and symbols may be used in accordance with Article 44(1) of Regulation (EU) No 1151/2012 in media or in advertising supports for the purpose of divulgation of the quality scheme or of advertisement of the registered names. 5. Products placed on the market before the entry into force of this Regulation which do not comply with paragraphs 1 and 2 may remain on the market until the stocks are exhausted. indication of the country or countries of origin. only for applications received before the entry into force of Regulation (EU) No 1151/2012, information whether the registration is without reservation of the name. 3. Where the Commission approves an amendment to the product specification that includes a change to the information recorded in the Registers, it shall delete the original data and record the new data with effect from the entry into force of the decision approving the amendment. 4. When a cancellation takes effect, the Commission shall delete the name from the Register concerned. 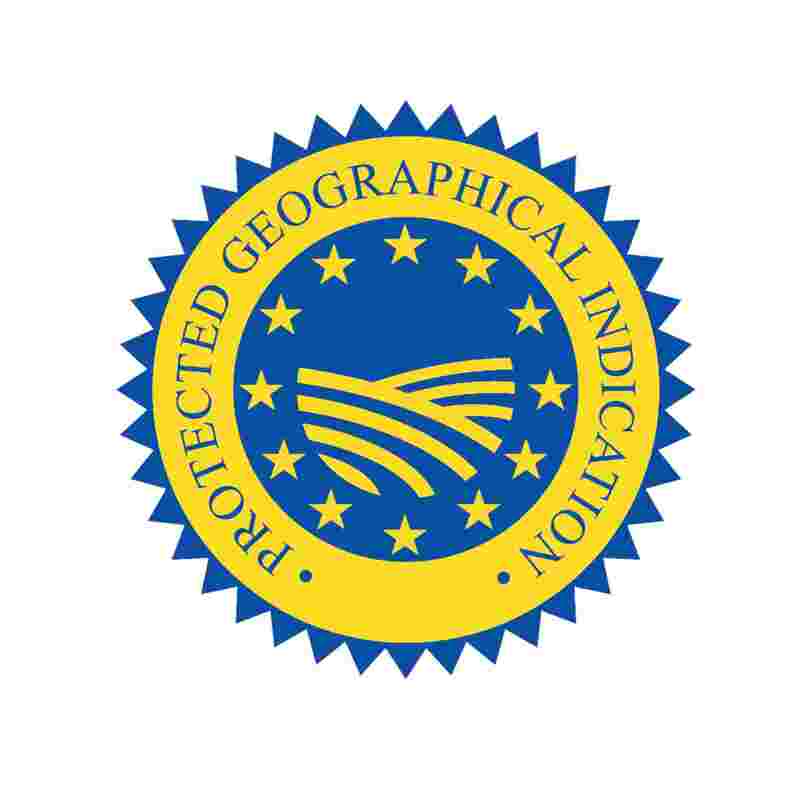 A request for publication of the single document submitted by a Member State pursuant to Article 8(1) of Delegated Regulation (EU) No 664/2014 in respect of a protected designation of origin or a protected geographical indication registered prior to 31 March 2006 shall be drawn up in accordance with the form set out in Annex I to this Regulation. Article 9(1) shall only apply to opposition procedures for which the three-month period established in the first subparagraph of Article 51(1) of Regulation (EU) No 1151/2012 has not started on the date of entry into force of this Regulation. Article 9(3) shall only apply to opposition procedures for which the three-month period established in the first subparagraph of Article 51(1) of Regulation (EU) No 1151/2012 has not expired on the date of entry into force of this Regulation. The first sentence of point 2 of Annex X shall apply from 1 January 2016, without prejudice to products already placed on the market before that date. Done at Brussels, 13 June 2014. (2) OJ L 93, 31.3.2006, p. 1. (3) OJ L 93, 31.3.2006, p. 12. (4) OJ L 369, 23.12.2006, p. 1. (5) OJ L 275, 19.10.2007, p. 3. (6) See p. 17 of this Official Journal. [For PDO: give confirmation that feed and raw material are from the area. In case feed or raw material come from outside the area, provide a detailed description of those exceptions and state justifications. Those exceptions must be in line with the rules adopted pursuant to Article 5, paragraph 4, of Regulation (EU) No 1151/2012. [For PDO: causal link between the quality or characteristics of the product and the geographical environment, with its inherent natural and human factors, including, where appropriate, elements of the product description or production method justifying the link. For PGI: causal link between the geographical origin and, where appropriate, a given quality, the reputation or other characteristics of the product. Registration of the name would be incompatible with the terms of Regulation (EU) No 1151/2012 (point (a) of Article 21(1) of Regulation (EU) No 1151/2012). The name proposed for registration is lawful, renowned and economically significant for similar agricultural products or foodstuffs (point (b) of Article 21(1) of Regulation (EU) No 1151/2012). Provide duly substantiated reasons and justification for the opposition. Provide also a statement explaining the legitimate interest of the opposition, unless the opposition is lodged by the national authorities, in which case no statement of legitimate interest is required. The statement of opposition should be signed and dated. Amendment to product specification of a registered PDO or PGI not to be qualified as minor in accordance with the third subparagraph of Article 53(2) of Regulation (EU) No 1151/2012. [For each heading checked in section 3 above, provide an exhaustive description and the specific reasons for each amendment. The original product specification and, where relevant, the original single document must be compared in detail with the proposed amended versions for each amendment. The amendment application must be self-sufficient. The information given in this section must be exhaustive (the first and the second subparagraph of Article 6(1) of Delegated Regulation (EU) No 664/2014]. Provide a statement explaining the legitimate interest of the group proposing the amendment. Amendment to product specification of registered TSG not to be qualified as minor in accordance with the fourth subparagraph of Article 53(2) of Regulation (EU) No 1151/2012. [For each heading checked in section 3 above, provide an exhaustive description and the specific reasons for each amendment. The original product specification must be compared in detail with the proposed amended version for each amendment. The amendment application must be self-sufficient. The information given in this section must be exhaustive (the first and the second subparagraph of Article 6(1) of Delegated Regulation (EU) No 664/2014]. Amendment to product specification of registered PDO or PGI to be qualified as minor in accordance with the third subparagraph of Article 53(2) of Regulation (EU) No 1151/2012, for which a single document (or equivalent) has not been published. Amendment to product specification of registered TSG to be qualified as minor in accordance with the fourth subparagraph of Article 53(2) of Regulation (EU) No 1151/2012. [For each heading checked in section above, provide a description and the summary of reasons for each amendment. The original product specification and, where relevant, the original single document must be compared with the proposed amended versions for each amendment. Provide also a clear reasoning why in accordance with the third and/or the fourth subparagraph of Article 53(2) of Regulation (EU) No 1151/2012, the amendment is to be qualified as minor. The minor amendment application must be self-sufficient (the second subparagraph of Article 6(2) of Delegated Regulation (EU) No 664/2014]. Communication concerning temporary amendment in accordance with the second subparagraph of Article 6(3) of Delegated Regulation (EU) No 664/2014. When used in colours, direct colours (Pantone) or four-colour process may be used. The reference colours are indicated below. Use of the symbols in black and white is allowed only when black and white are the only ink colours used on the package. Times Roman capitals must be used for the text. The minimum size of the Union symbols is 15 mm in diameter, however, it may be reduced to 10 mm in case of small packages or products.